... our dishes are prepared fresh daily with fresh market ingredients for you. Having a good mood after getting up is sometimes not so easy. A delicious breakfast in a Mediterranean atmosphere often helps. 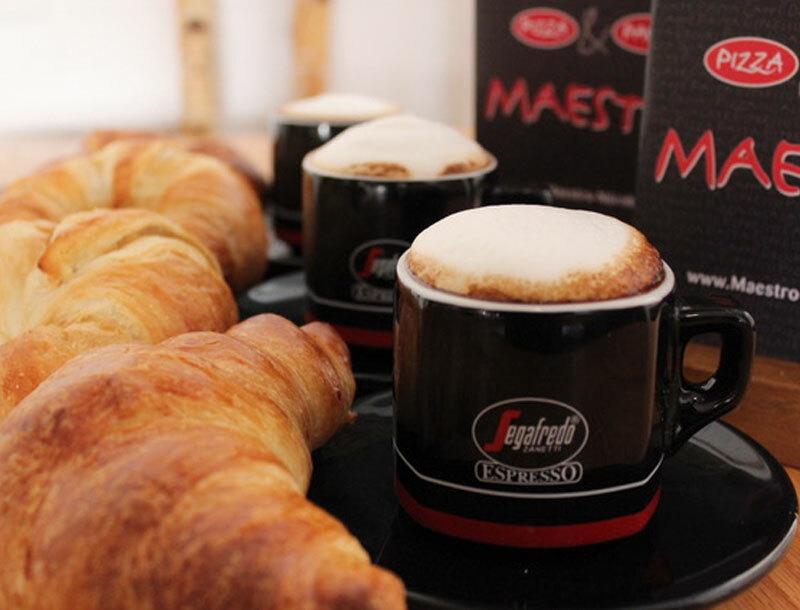 A hot Segafredo specialty coffee and a delicious croissant for only 2.60 euros often helps. Breakfast at Maestro Daily Mon.-Sat. Until 11.00 pm, and the day can come.